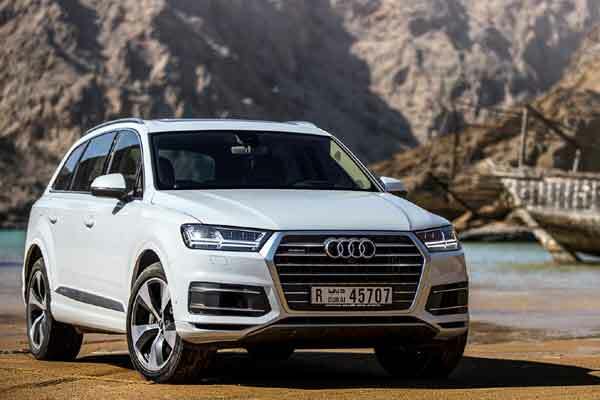 Audi, a leading automobile manufacturer, announced that it has sold around 463,800 automobiles worldwide between January and March, up 9.8 per cent over the same quarter last year. In particular, the high demand in China (+41.9 per cent) and North America (+10.2 per cent) drove growth in the first three months, said a statement. In Europe, however, sales since January came in below the record-breaking level from 2017, down 4.7 per cent, it said. In March, the company delivered around 183,750 premium automobiles (+6.0 per cent) worldwide, it added. In China, Audi also closed the first quarter successfully. Here the company delivered 154,270 cars since January, an increase of 41.9 per cent, said a statement. In the past month, demand increased by 30.6 per cent; the Ingolstadt-based automaker sold more automobiles in China than ever before in the month of March, delivering 54,031 units. The Audi A4 proved an important growth engine. The number of deliveries of the midsize model increased by 86.4 per cent year-on-year to more than 13,800 cars. Since the start of the year more than 37,350 Chinese customers received their keys for an Audi A4 (+99.2 per cent). The top seller is following this positive trend worldwide too, achieving growth of 15.3 per cent to around 87,850 A4 models delivered in the period January through March. With sales down 5.8 per cent in March, Europe is indicative of the complex ramp-up and discontinuation situation of the current model initiative. In Germany and the UK, Audi’s two largest European markets, deliveries were down on the very strong sales figures from 2017. In the domestic market, the premium brand delivered 28,247 automobiles (-9.0 per cent) in March, which had less selling day than last year. In the UK, sales fell 2.9 per cent year-on-year in the past month. In the first quarter, UK sales were on a par with the prior-year level, up 0.1 per cent, and performed far more resiliently than the declining overall market. Demand in Spain (+11.3 per cent) and Italy (+2.8 per cent) also remained positive in the past month. In both markets, customer interest in the Audi Q5 held up since the start of the year. A total of 1,618 Spanish customers (+51.5 per cent) and 2,106 Italian buyers (+131.9 per cent) opted for the SUV in the first quarter. Another positive result: In Austria Audi accomplished premium market leadership regarding car registrations between January and March. On the North American continent, Audi also continued to grow in March, increasing sales by 8.3 per cent to around 24,550 cars. With around 61,400 deliveries, the company posted growth of 10.2 per cent year-on-year in the region since January. In Canada alone, Audi sold 3,404 units in March, continuing its double-digit sales growth of the past few months (+14.0 per cent). Since January, around one in three Canadian Audi customers chose an Audi Q5. Audi of America achieved another record-breaking month, with sales up 7.4 per cent to 20,090 units. The Q family once again contributed largely to this success. The SUV share in the US is currently 52 per cent, i.e. one out of every two Audi models sold in this market is a Q model.